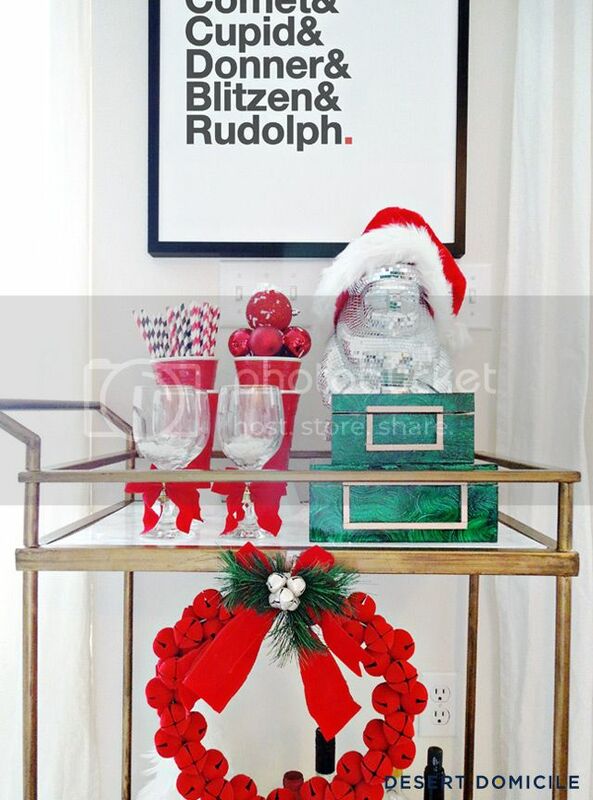 Who's ready for a holiday home tour?! This isn't a full home tour (that happens next week! 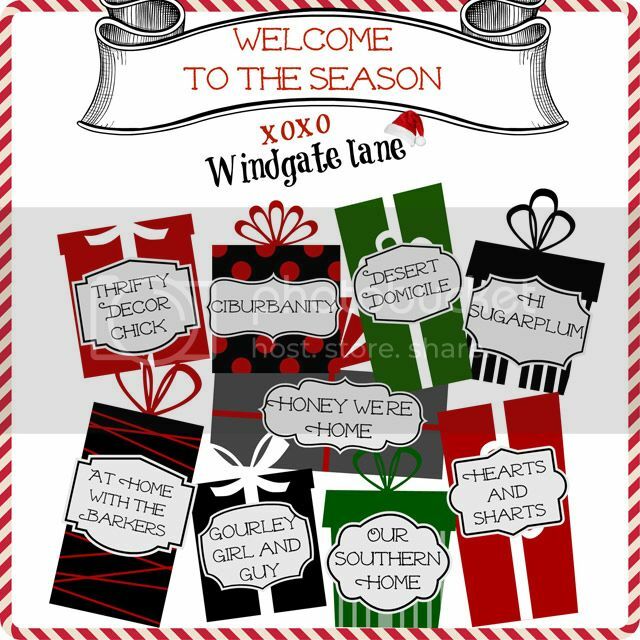 ), just a small vignette I put together for Windgate Lane's "Welcome to the Season" blog hop. If you're stopping by from Hearts and Sharts – welcome! Rudolph is happy you stopped by! 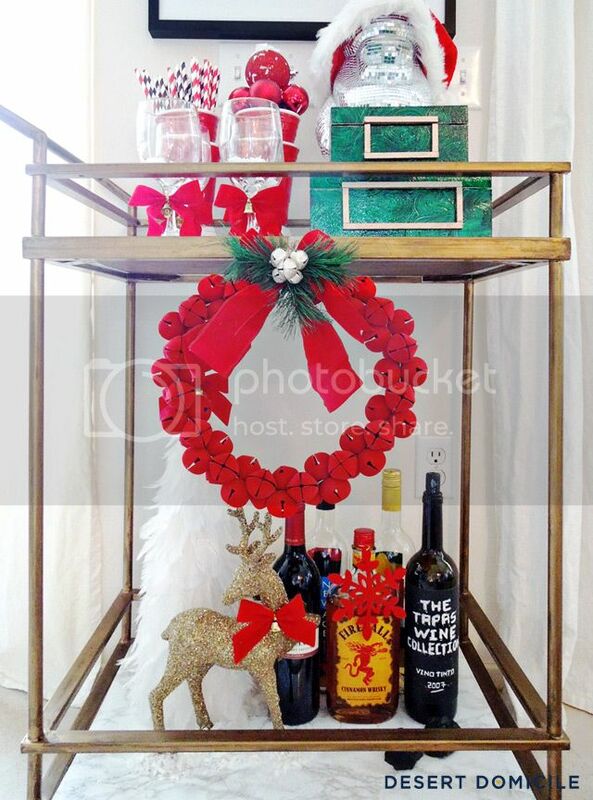 Our bar cart received a mini marble makeover! I'll be sharing all of the details next week. 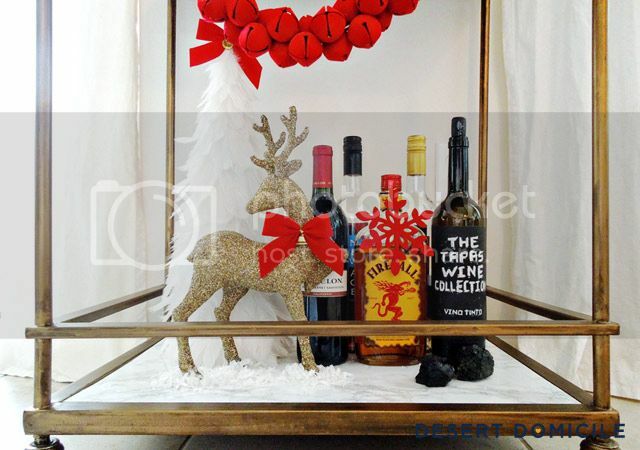 I added some holiday flair to our gold rimmed dollar store wine glasses. I'll be sharing the super simple tutorial with you later this afternoon! 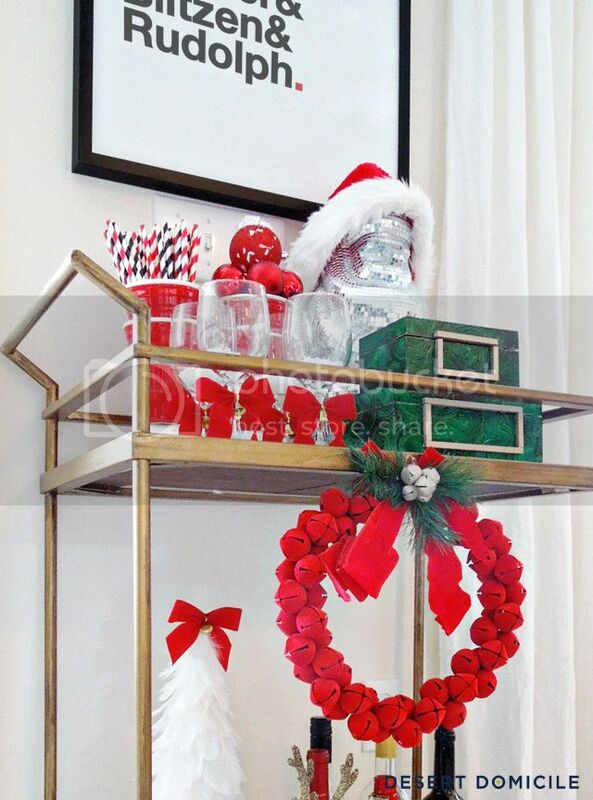 I hung my favorite jingle bell wreath from a Command strip that I stuck onto the side of our bar cart. Faux snow and some coal was added here and there. I love how the marble shelves look with the gold frame! Don't forget to stop by At Home With The Barkers to see Sonya's vignette! Desert Domicile – you're here! so fun! 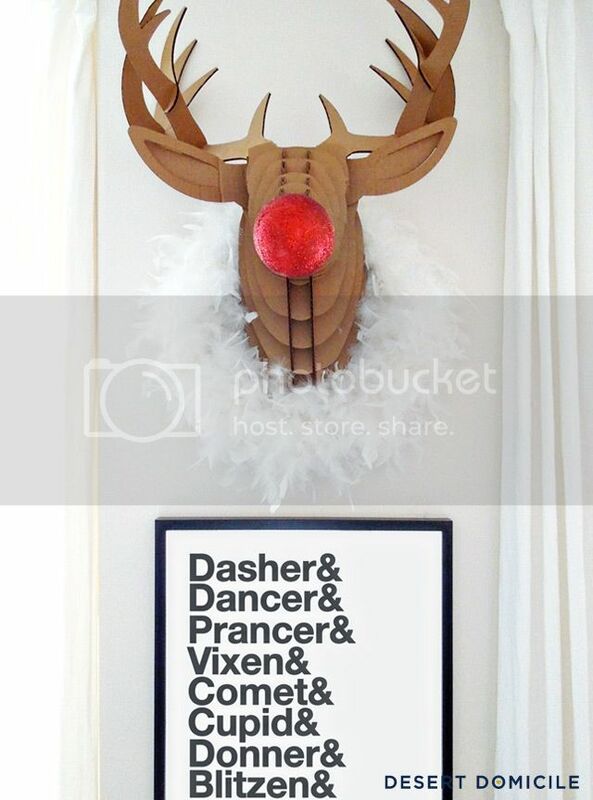 your reindeer is my favorite part! I love that print! Did you make it? Thanks Jane! I sort of made the print haha I found the image on Pinterest and enlarged it to the size of my frame in Illustrator. I found the found and typed out the words so they'd be nice and crisp and then I had a print made for $3 at Office Max! Adorable. I LOVE that print over it. It's so simple and gorgeous! 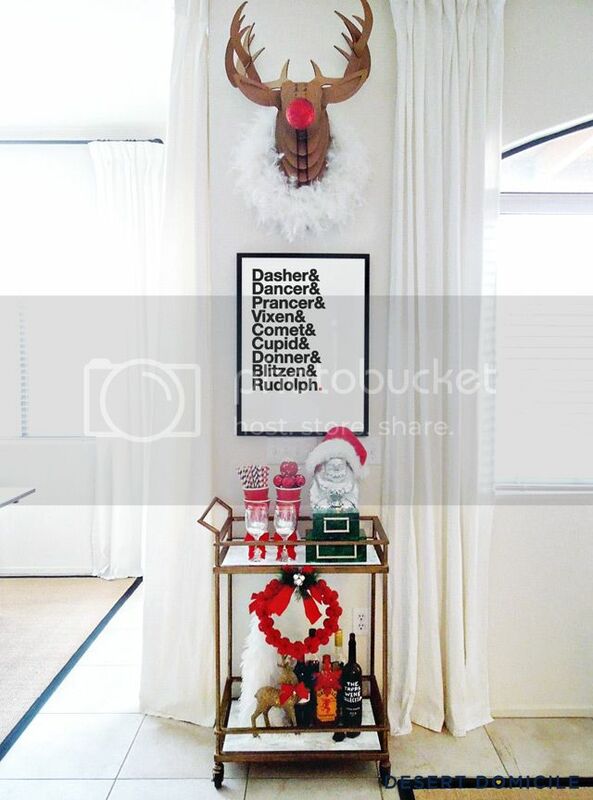 The reindeer head is amazing! The whole color scheme is so cozy and festive! Ready for a drink! 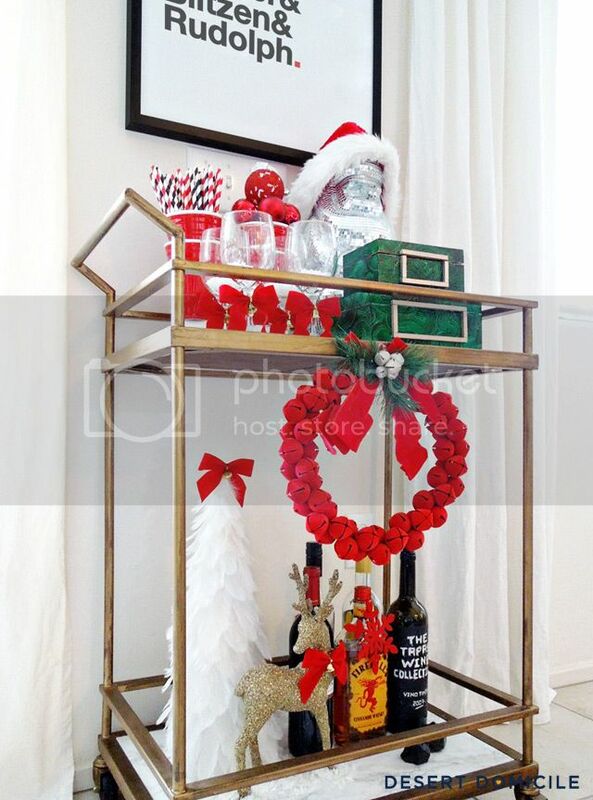 Such a pretty and festive vignette! 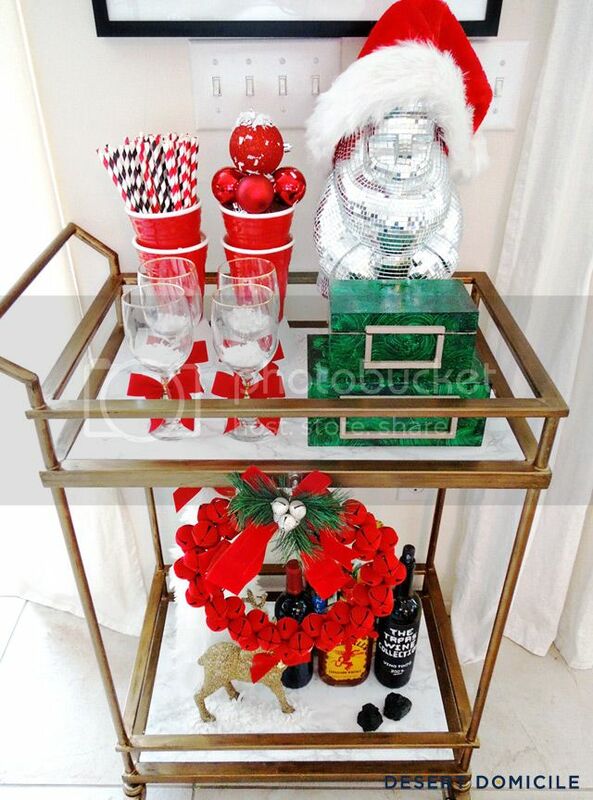 I love the saturated colors and your always-perfect sense of humor in decorating! Love, love, love this! 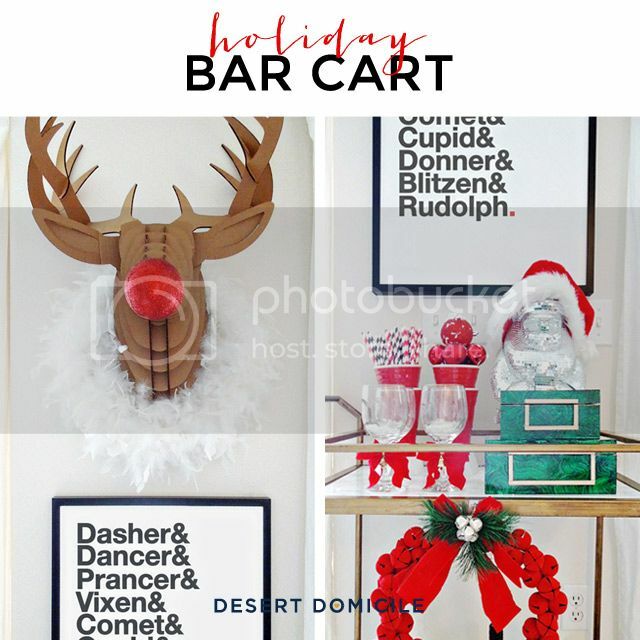 There is no way I would make it through the holidays without a bar! 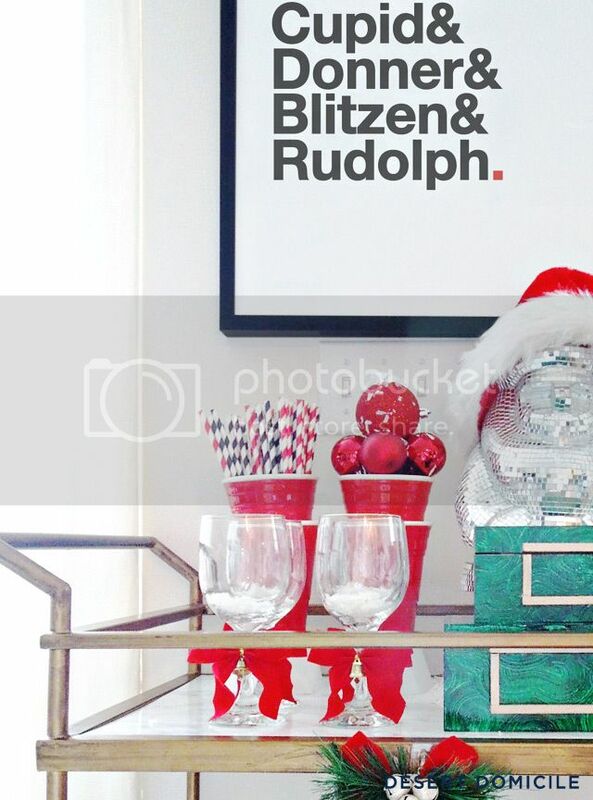 Is there ANY WAY you would be willing to share your reindeer print? 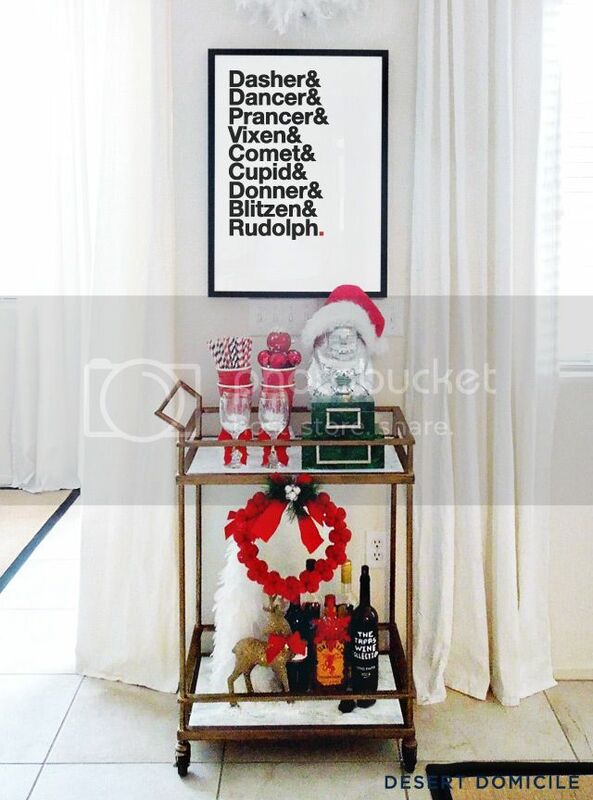 I'd LOVE to hang it in my home this upcoming season. Or at least what font was it? Thanks!